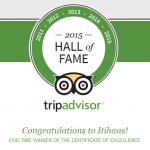 Food hygiene and overall quality is very important for us at Itihaas restaurant. We like to further assure you that the Food Standards Agency has completed the Food Hygiene Information scheme at Itihaas restaurant and we have been awarded a ‘Pass’. A ‘Pass’ means that the business has achieved an acceptable level of compliance with food hygiene law. Itihaas, the only Indian/Bangladeshi restaurant in Dalkeith to Pass! 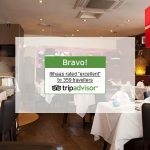 If you’re living in Dalkeith, you may also want to take note that Itihaas was the only Indian/Bangladeshi restaurant in Dalkeith to receive a Pass for the Food Hygiene Rating. If you would like any further information, please ask to speak to Matin Khan in the restaurant or call us on 0131 663 9800.